On October 22-23 in Α.Σ.Κ.Τ Athens art university a peculiar event took place for the Athenian noise massive. 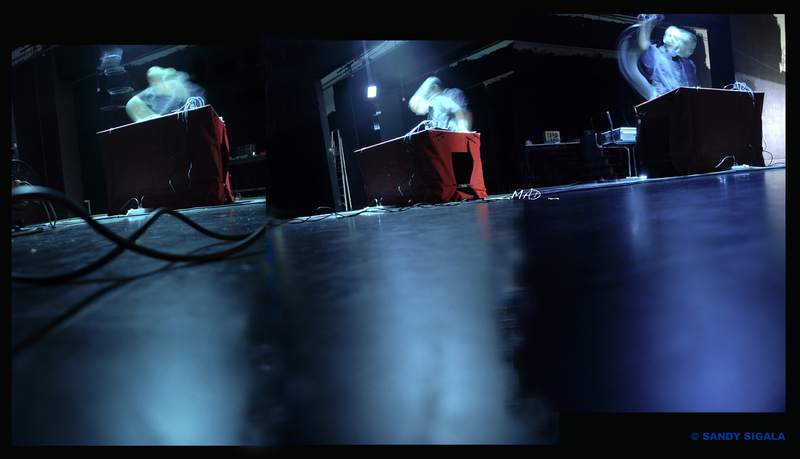 The postgraduate department of Digital Art Forms coordinated a two day event dedicated to digital sound improvisation. In the event took part 6 Greek musicians , one from Russia by the name Goosli Noise and one artist from Istanbul by the name Analog suicide. Each of the artists played a set on stage not more than half an hour each. The event was more of a presentation rather than a party, since experimental music and specifically experimental noise is in Greece a scene that’s not really recognised by the public, and is in a more underground phase. From all the artists taking part in this event i choose two as our weekly featured artists one of them is the Greek artist named George Karamanolakis and the second one is Batur Sonmez which goes by the name Analog Suicide. George Karamanolakis in 2006 graduated from the University of the West of England, Bristol ( Faculty of Art, Media and Design ) and in 2007 enrolled in the postgraduate course of Digital Art Forms in Α.Σ.Κ.Τ . He is basically engaged in In situ (Site specific) art , also a director of experimental movies and a member of the creative team OMIO. 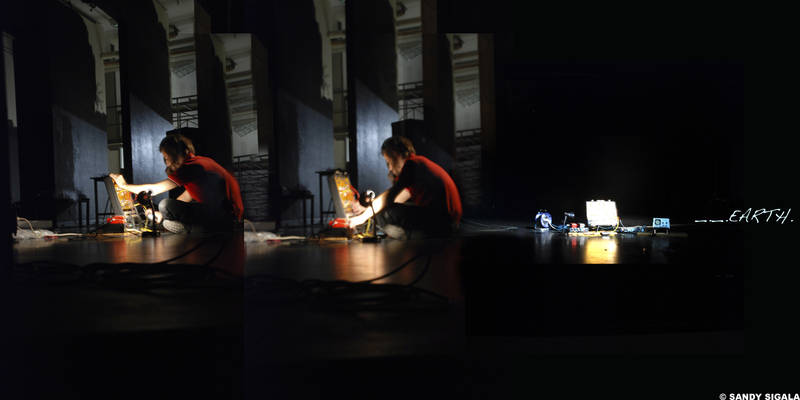 Since 2004 he has been composing audio-visual music based on improvisation. For equipment he uses from old toy machines such as < Game boy > to music devices such as cassette players and even analog synthetistes such as <E.M.S synth>. Has also been very active and has organized a number of art exhibitions. some links of Georgios Karamanolakis work are found below. Batur Sonmez which goes by the name Analog Suicide is an audio-visual artist from Istanbul. He has been active in the experimental music scene since 1998. He was one of the organizers for the Transmissions From Outside festival. A festival which gives artists the opportunity to present their work to the Turkish audience. He has also taken part in a number of exhibitions in various countries. The music he composes has a noise, industrial, influence . Analog suicide has collaborated with various artists such as Qewr which is a well known Turkish artist. some links of his work are found below. I hope similar events will take place in Athens again since it is very interesting to experience different types of music and art that break threw the rules of the ordinary and have a creative spin to them. November 2, 2010 in articles, artists, Athens, contemporary art, noise, party reports, photo gallery, photo reports, special editions, video reports. special thanks to Sandy mayhem for contributing this article ..
analog suicide isn’t one of the organizers for Transmissions From Outside festival , he is the only organizer!!! and he also has his own international experimental music & film festival in istanbul : SPEKTRO FESTIVAL ..